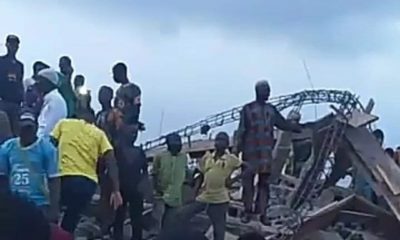 Two people were feared dead while 14 others were rescued alive by emergency respondents on Monday after a three-storey building collapsed in Lagos Island. NAN reports that a reliable source at the scene of the incident that it happened around 7.30a.m., at Daddy Alaja Street, Oke Arin on Lagos Island. 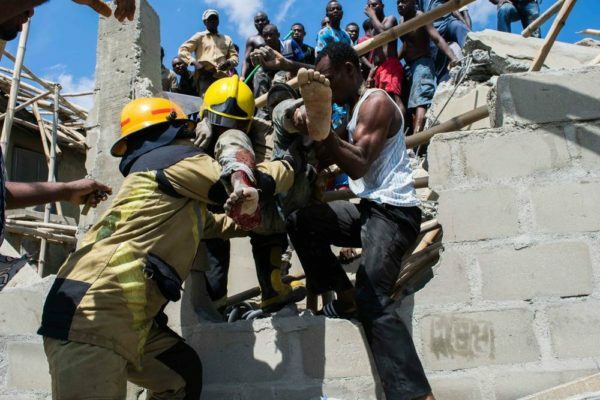 The source said that the two dead persons, a man and a woman, whose identities could not be confirmed by the respondents, were pulled out of the debris from the three-storey building. The source said that the building, housing many occupants, was also under renovation when it crashed. The source said that the rescued team included officers from LASEMA, NEMA, Fire Service and the Police Force. The spokesman of the Lagos State Police Command, ASP Olarinde Famous-Cole, confirmed the incident. Famous-Cole, however, could not ascertain the number of deaths as at press time. 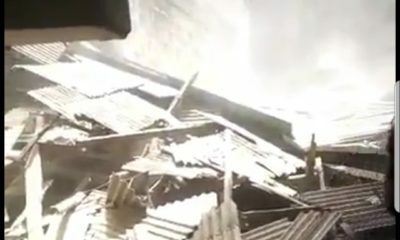 NAN reports that three buildings had collapsed in Ilasamaja, Ebute-Metta and on Lagos Island in the last three months, in which five persons lost their lives while more than 40 persons were rescued.